I love the warm humid summers of the Mid West, but when I am working out it’s important to feel cool. When I learned that bamboo clothing can keep you dry, comfortable and regulate your temperature even in 80+ degree weather with 60% humidity, I knew I had to try it. Cariloha Bamboo Clothing was inspired by Caribbean style and Hawaiian aloha. “With more than 20 years vacationing, working and serving in the Caribbean and Hawaiian Islands and the cruise ship ports throughout the Yucatan Peninsula, Mexican Rivera and Bahamas, the Cariloha team became steeped in the culture and lifestyle of the islands and the beachfront shopping experience. We wanted to take our love of the Caribbean and Hawaii with us everywhere, so we began celebrating Cariloha Fridays, wearing our favorite island-inspired clothing every Friday to the office. The idea caught on, and we realized that we weren’t the only ones who wanted to enjoy the islands day in and day out. Today they carry a full line of Bamboo Clothing for women, men and babies plus a line for bed and bath. Cariloha Bamboo Clothing is sold in 49 stores throughout the United States, Hawaii, and the Caribbean. The Cariloha Bamboo Fit Active Wear for Women is soft and comfortable, keeps me dry when I go for a run, is breathable, odor resistant and lightweight. I love the soft and silky feel of the bamboo fibers. Cariloha also carries the softest most comfortable socks. They are thick, but my feet do not sweat as much while wearing them. Cariloha Bamboo Clothing is giving away Bamboo Fitness Wear to one lucky Healthy Moms Magazine reader. You must visit Cariloha.com, Like Cariloha on Facebook, Follow Cariloha on Twitter and leave us a comment at the end of this post. This contest is open to US residents only 18+. The winners will be chosen at random from random.org at the end of the contest. This contest ends on June 17, 2015 at 9am CST. For each extra entry please leave a separate comment. 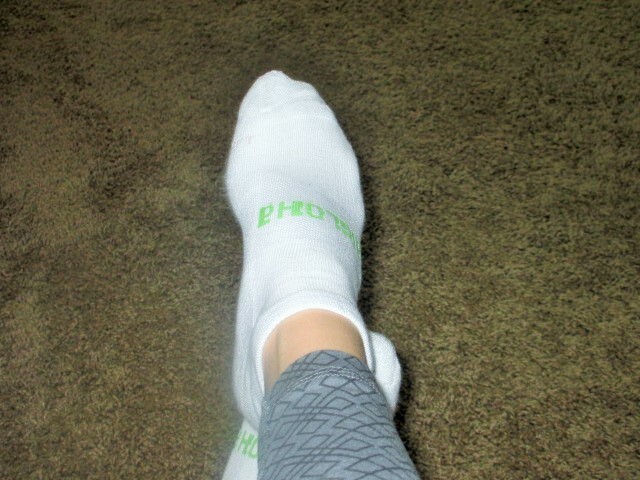 *Disclosure: I received Cariloha Bamboo socks and fitness wear in exchange for this review. All opinions are accurate and 100% mine.